Many of us dream of a whiter and brighter smile but find that over-the-shelf whitening products don’t produce the results we’re after. Thankfully, Station Square Dental provides both in-chair and at-home whitening, helping patients to achieve the smile of their dreams easily. 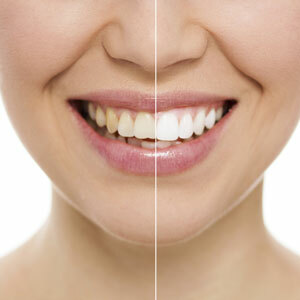 Our teeth whitening services are simple, non-invasive, and completely safe, so you know you’re in good hands. We use the Pola Office system, which is the world’s fastest teeth whitening product. Pola Office doesn’t require UV light to accelerate the process, plus the entire procedure (including preparation and a dental assessment) can be completed in just 1.5 hours. Pola uses a strong bleaching solution applied by a professional dentist, which due to its strength, allows a patient to achieve their desired results in just one session. Not only are teeth left looking whiter and brighter, but when cared for correctly, patients can expect their results to last a long time. What if you’re too busy to attend a 1.5 hour appointment, or simply want to whiten your teeth in the comfort of your own home? This is why we also offer take-home whitening kits using one of the world’s leading whitening brands, ZOOM. Our take-home kits are easy to use, plus they make whiter teeth accessible for more patients than in-chair whitening alone. To make our professional home whitening kits, our dentist will take an impression of your mouth from which they will make your custom-fitting trays. Once these trays have been made (usually taking 5-10 days) you use them in combination with a professional whitening gel (Pola Day or Night). Patients are advised to wear their trays for just 15 to 30 minutes twice-daily, depending on the formula our dentist recommends. Prior to beginning your teeth whitening option, our dentist will thoroughly assess your mouth to determine if you can begin treatment straightaway, or if there are concerns (such as tooth decay) which will need to be addressed first. To schedule a consultation at Station Square Dental, please call our friendly team today! 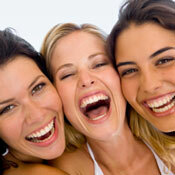 We look forward to helping you achieve a whiter and more confident smile.